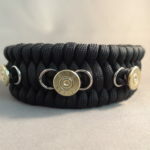 This bracelet is a great accessory for anyone with a medical condition. It will help to alert first responders in an emergency situation and could possibly save the life of you or your loved one! 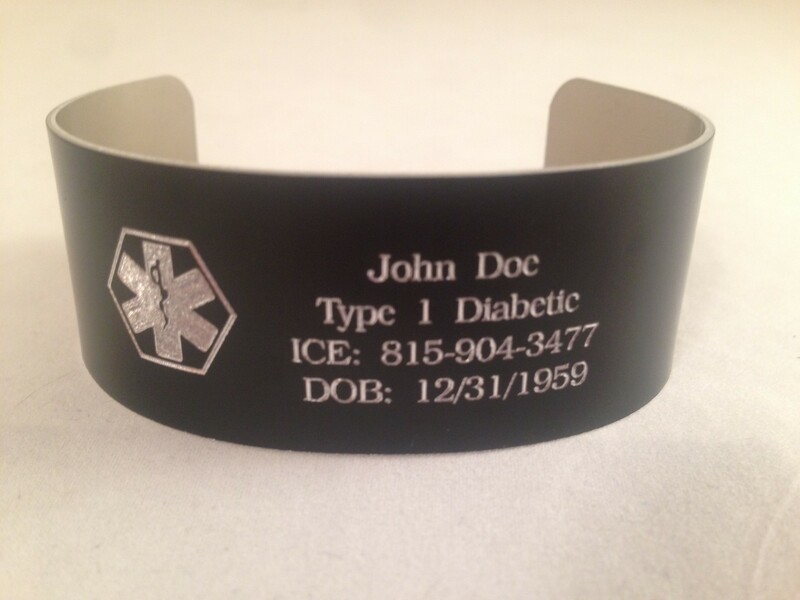 Exclusive to High Caliber Creations, this type of medical ID bracelet is unique in that we are not limiting or charging for extra lines of engraving. (The only extra charge would be a basic fee if you also choose to engrave on the back.) The listing is set up for up to six lines on the front, at twenty characters per line, but we can change this to accommodate any request. Just email us and we will set up a custom listing according to your needs. We made this bracelet because some people have more information than they can fit on a typical medical ID tag. This bracelet has a lot of room for as much engraving as you want. Just remember, the more text, the smaller the font will be. 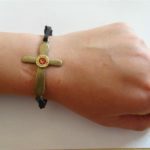 We can also engrave even more information on the inside of the bracelet! 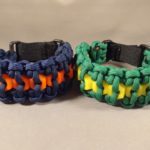 We offer this type of bracelet in various widths, from 1/2″ wide to 1 3/4″ wide. The wider bracelets obviously hold more information and larger fonts. They are also more masculine looking for men, but also look great on women! This specific bracelet is about 1 1/2″ wide….perfect for those who have a fair amount of text, but don’t want it too wide. It is aluminum with black powder coating on the front. 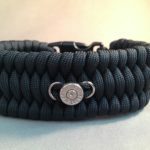 Every bracelet has a medical alert symbol, you just add your personalized text. If you prefer not to have the medical alert symbol, just let us know and we can leave that off. 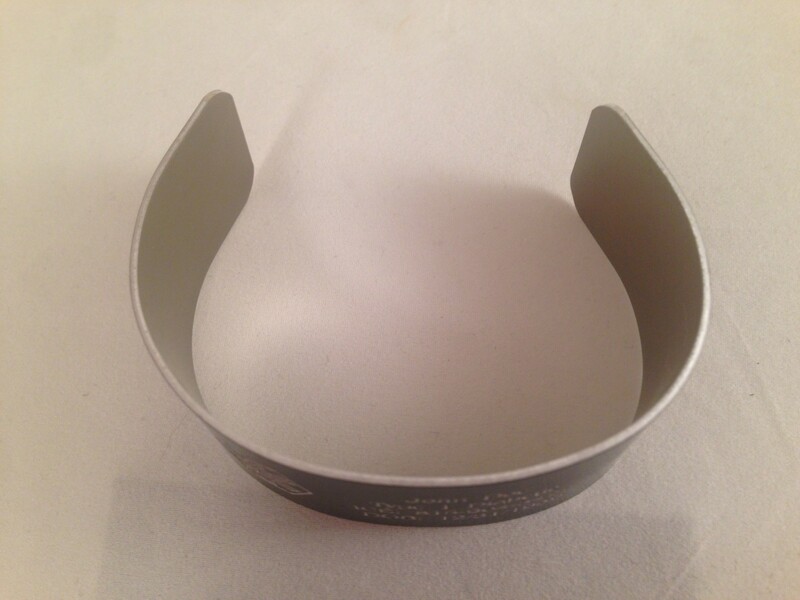 The aluminum is easily bendable so that the bracelet can be adjusted to fit your wrist. *More than 95 percent of respondents look for a medical ID during emergencies. *More than 75 percent look for a medical ID immediately upon assessing a patient. *95 percent look at the patient’s wrist to find a medical ID, and 68 percent look for an ID on the patient’s neck. **When placing your order, enter your text carefully. We will engrave exactly as you said, so please be sure you are entering the desired capital and/or lower case letters. We will contact you if we have any questions.